Phoenix: “1901” (Take Away Show) | Chickens Don't Clap! Check out the rest of Phoenix‘s performance over at La Blogotheque and, if you don’t have it already, the album version of “1901” down below. Buy: You can pick up the excellent Wolfgang Amadeus Phoenix over at Insound. Also, it was announced that the much-anticipated “visual album” from Animal Collective and frequent visual collaborator Danny Perez is due to premiere at the 2010 Sundance Film Festival (January 21-31). It’s called ODDSAC (why not?) 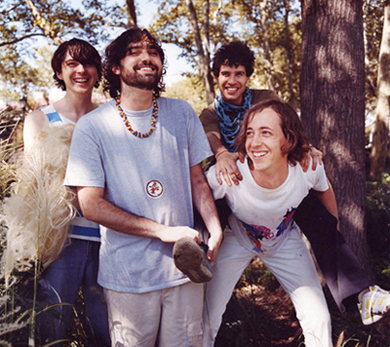 and is described by Sundance as “an earthy, psychedelic experimental narrative infused with the band Animal Collective’s aural and musical sensibilities”. With the possibility of another Panda Bear record in 2010, it seems A.C. continues to be as prolific as ever.